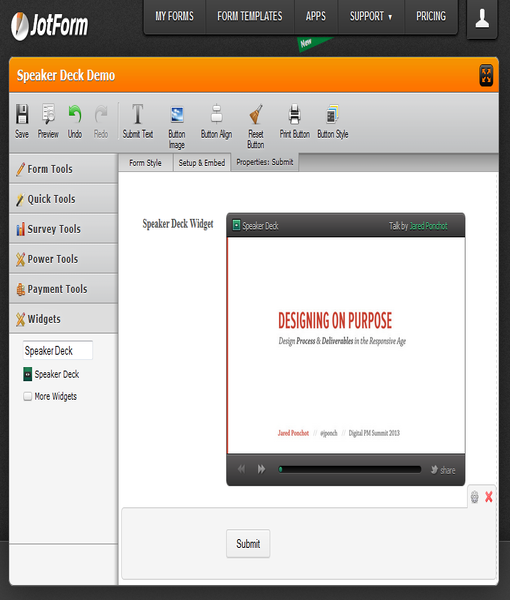 Speaker Deck is the best way to share presentations online. Simply upload your slides as a PDF, and we’ll turn them into a beautiful online experience. 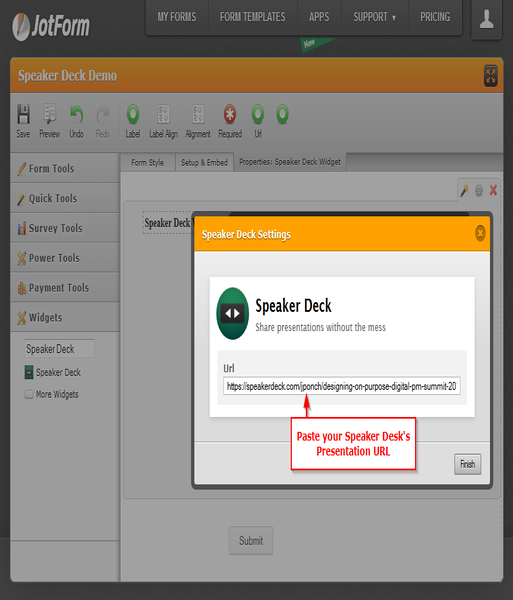 View them on Speaker Deck, or share them on any website with an embed code. 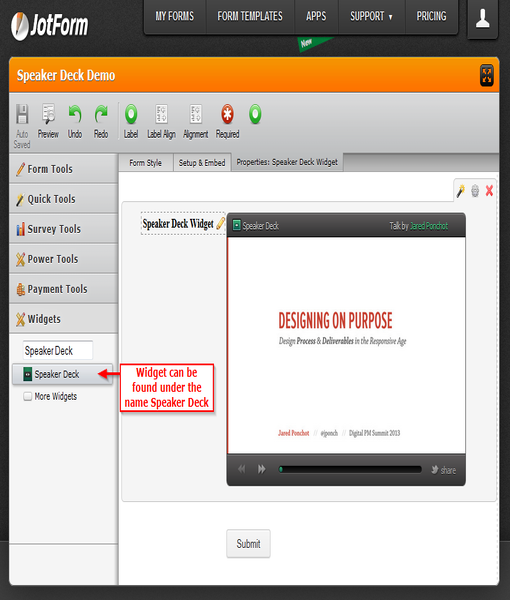 This widget allows you to easily display your Speaker Deck generated presentations right on your form. Allowing you to showcase a larger amount of valuable information within a limited area. Makes the form even more interactive, allowing you to share a lot more information on limited space!